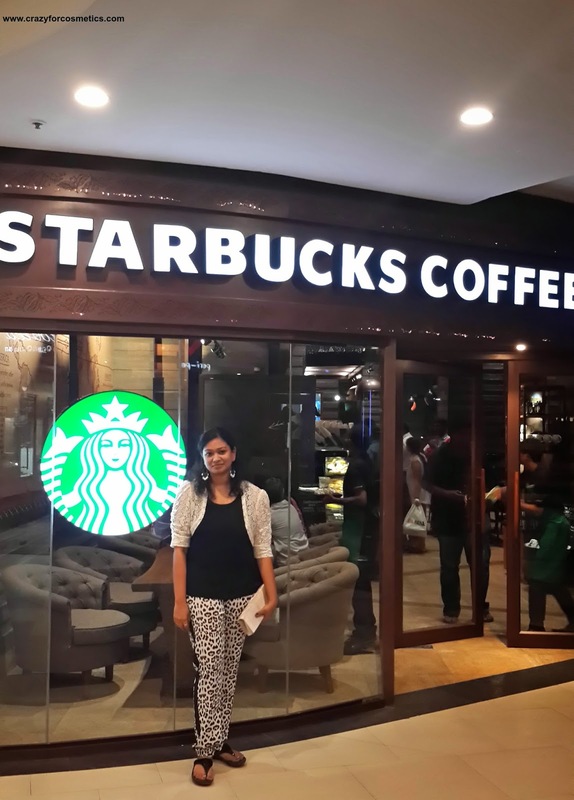 Starbucks opened its first shop in Chennai 2 days back and luckily we had booked a movie last night. So we clubbed both together and headed to Phoenix Market City. I was planning to wear my leopard printed pants and a black top. 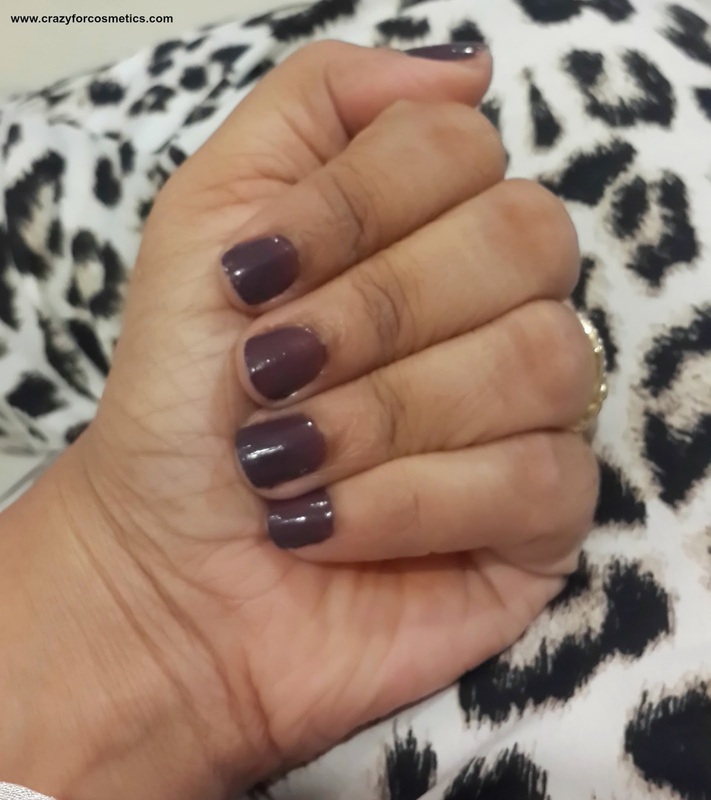 So wanted a monochrome shade on my nails to go along with the dress.So I chose Midnight Taupe from Maybelline Color Show range. proper color. Single coat is too sheer and you need to apply other coats quickly since it dries pretty fast. 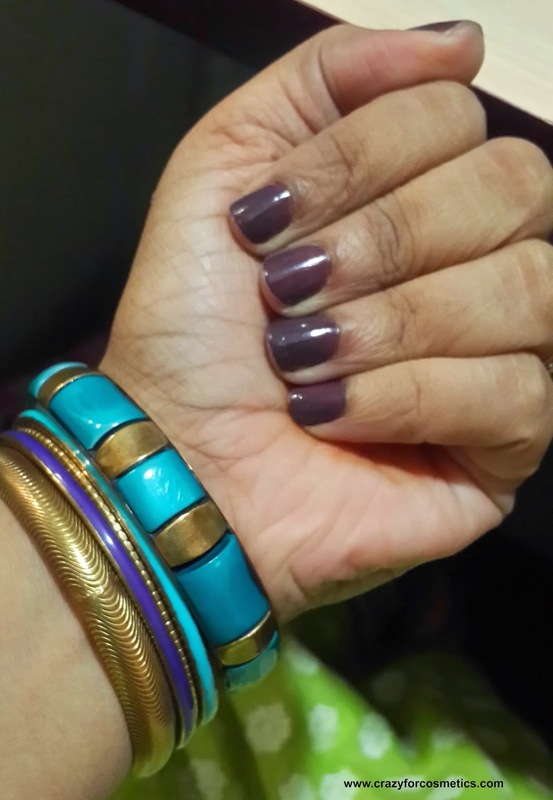 I have been calling this shade Midnight Mauve, done know from where I picked up that.. !!! I won this nailcolor in a giveaway and I completely love the shade.You can add a coat of glitter to make it more colorful. 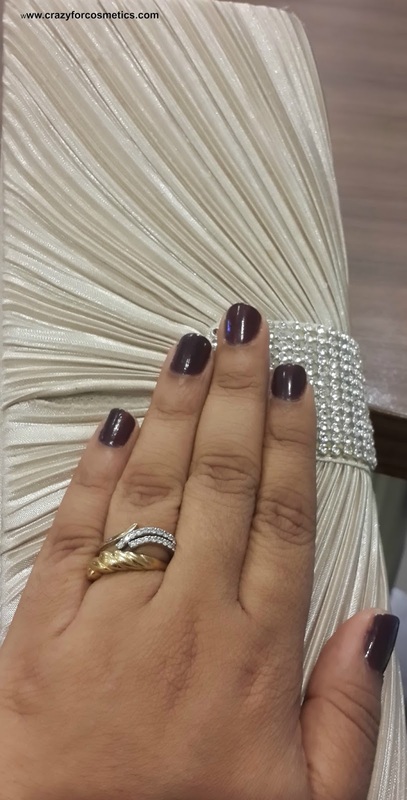 You can opt for lighter shades like gold or white to create nail art patterns. 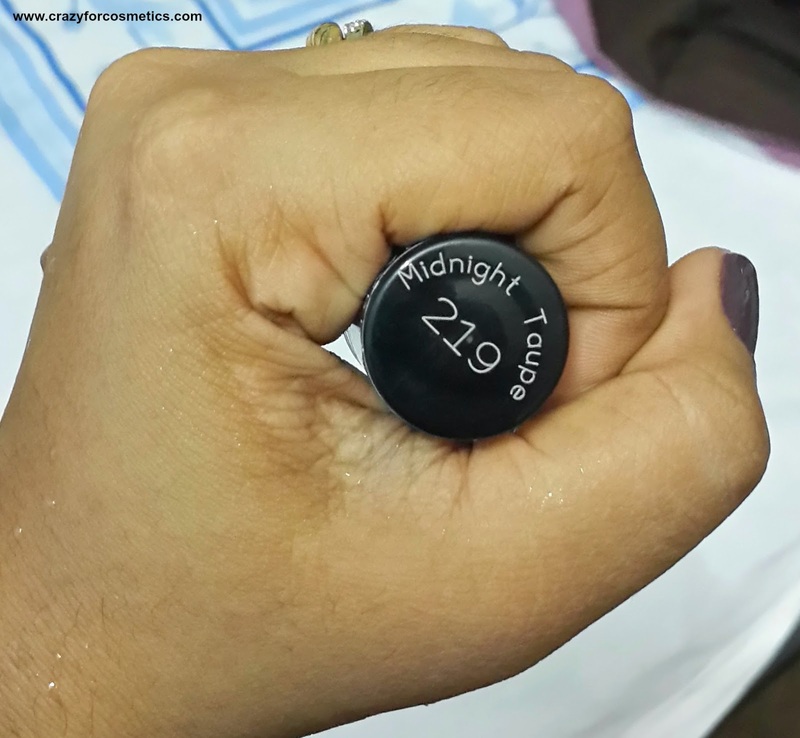 1 : Even 2 coats is pretty sheer.